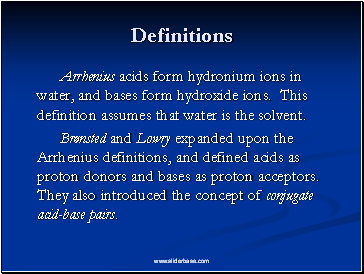 Arrhenius acids form hydronium ions in water, and bases form hydroxide ions. This definition assumes that water is the solvent. 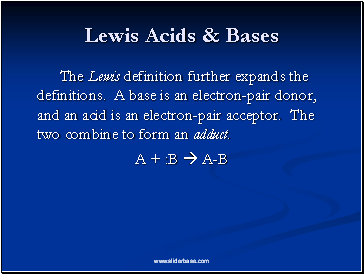 Brønsted and Lowry expanded upon the Arrhenius definitions, and defined acids as proton donors and bases as proton acceptors. 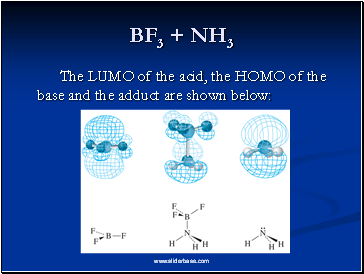 They also introduced the concept of conjugate acid-base pairs. 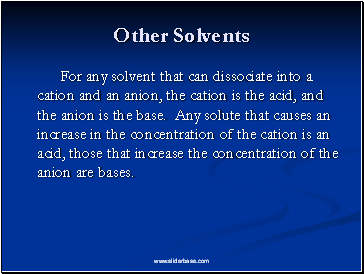 For any solvent that can dissociate into a cation and an anion, the cation is the acid, and the anion is the base. Any solute that causes an increase in the concentration of the cation is an acid, those that increase the concentration of the anion are bases. The Lewis definition further expands the definitions. 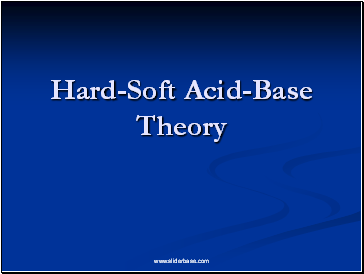 A base is an electron-pair donor, and an acid is an electron-pair acceptor. The two combine to form an adduct. 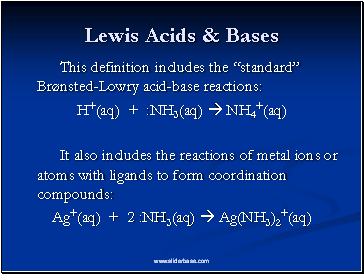 In addition, electron-deficient compounds such as trivalent boron is categorized as a Lewis acid. 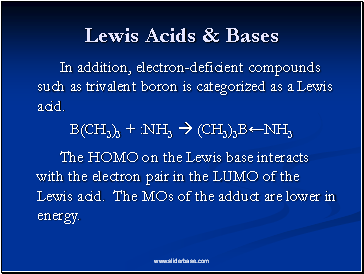 The HOMO on the Lewis base interacts with the electron pair in the LUMO of the Lewis acid. The MOs of the adduct are lower in energy. 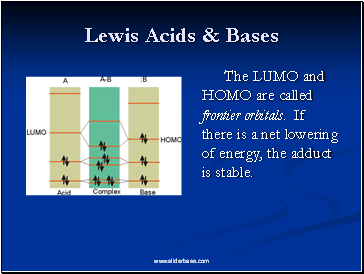 The LUMO and HOMO are called frontier orbitals. If there is a net lowering of energy, the adduct is stable. 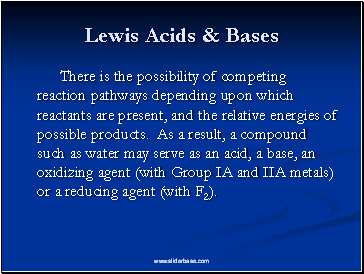 There is the possibility of competing reaction pathways depending upon which reactants are present, and the relative energies of possible products. As a result, a compound such as water may serve as an acid, a base, an oxidizing agent (with Group IA and IIA metals) or a reducing agent (with F2).